As one of the province’s leading specialists in the metal warehousing, processing, and fabrication industry, Calgary-based Sureway Metal Systems Ltd. has woven its products into the very fabric of this city. As a metal fabricator, many of Sureway Metal’s products have become a cornerstone of many construction projects and drilling rig operations. From the Olympic rings on Olympic Way to the steel under the “H” at Heritage Park, from the bridges in Fish Creek Park to the steel in Encana’s Bow Tower, the owners see visible proof of the part their company has played in the growth of Calgary. When the owners travel around Calgary, it is with a true sense of pride. Their family-owned, third generation company has competed for 46 years with Canada-wide steel service centres and has acquired a reputation for service that is second to none. The founder, Harold Fitzpatrick, initially started the business in 1970 in a modest 11,600 square-foot building with 13 employees and has since evolved into an 140,000 square-foot facility that operates with 120 employees under the leadership of current CEO Dave Evans. His sons, Justin and Jeremy Evans, president and vice president respectively, are now carrying the torch bringing the company to the next level. Justin and Jeremy are firm believers of that 46-year-ago philosophy that business is always done on a customer satisfaction basis, excellent products, competitive pricing, and consistency. 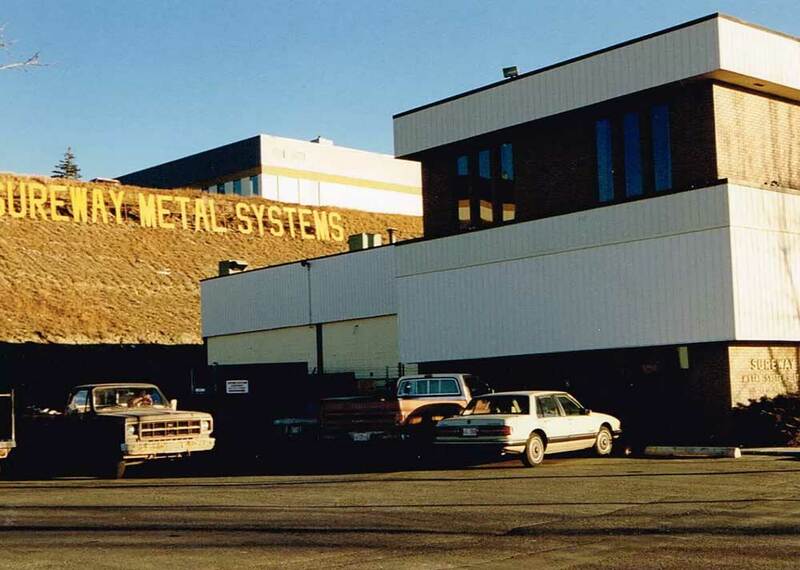 With a solid history in the City of Calgary combined with continued commitment to provide a superior workplace, Sureway Metal is poised for a strong future where the company will continue to meet all clienteles’ metal needs by continued expansion of products and services.